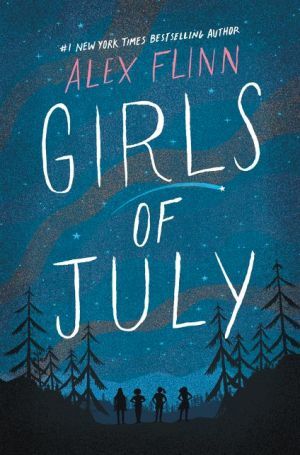 Perfect for fans of The Sisterhood of the Traveling Pants and Enchanted April, this compelling contemporary novel is from Alex Flinn, the #1 New York Times bestselling author of Beastly. Four girls. One unforgettable July. Britta is the bubbly drama queen. She needs to get away—and a peaceful cabin in the woods sounds like the perfect escape. Meredith is the overachiever. She’s spent her entire life preparing for college, but at what cost? Now she’s wondering if that’s all there is. Kate is the reluctant socialite. She’s searching for a reason to begin again after fleeing her small Georgia town—and a shameful family secret. Spider is the quiet intellectual. She’s struggling with pain that has isolated her from her peers for much of her life. When these four very different young women stay together for a month in the mountains, they discover that sometimes getting away from it all can only bring you back to who you really are.